On April 4, 2019, volunteers from two separate groups, SWIFT Corporation and Navy personnel out of Springfield, VA, joined forces with Habitat for Humanity to complete two projects in eastern Prince William County. One was the semi-annual clean up at the Parkway Pond #156 and the other was a flood mitigation project located about five miles down the road. The Parkway Pond is part of the Neabsco Creek Watershed. It’s located on property owned by Prince William County. The Parkway Pond is Habitat for Humanity Prince William County’s official Adopt-a-Stream (AAS) site. Twenty two bags of trash weighing a total of three hundred pounds were collected on the fourth. In the afternoon, the volunteers did minor maintenance on two drainage ditches on a vacant, County-owned parcel. “I know the residents downstream of the two drainage ditches will greatly appreciate this work that prevents localized flooding on their properties,” says Tim Hughes, Watershed Management Branch of Prince William County Department of Public Works about the flood mitigation project. Want to get out in nature with Habitat for Humanity Prince William County? Community Development projects such as these are part of Habitat for Humanity’s Neighborhood Revitalization program (NR). The NR program engages the residents of neighborhoods and other community partners to revive neighborhoods and makes them safe, inviting places to live. Habitat’s community development projects improve the health and well-being of Prince William County, Manassas and Manassas Park residents. Together with volunteers, Habitat revitalizes public areas, removes blight, improves water quality and generally gives residents improved access to public areas and a better sense of well-being and safety. 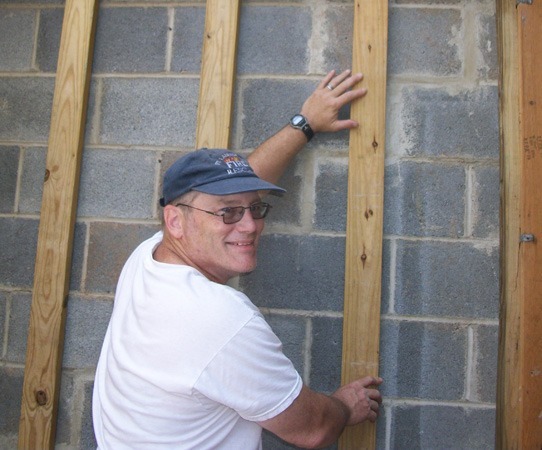 If you’d like to participate in a Habitat for Humanity Community Development project, or you know of one that should take place, please contact us at 703-369-6708 or programs@habitatpwc.org.